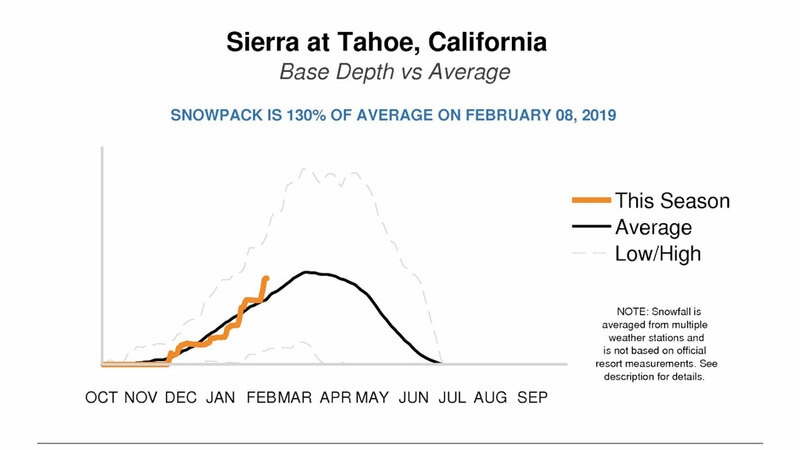 By now you’ve heard that Lake Tahoe got absolutely pummeled with snow in a storm that shrouded the region for only four days but dropped 90” of the goods when all was said and done. Here at Sierra, we couldn’t be more stoked. Through highway closures, lift holds and finally a powder day for the books, we were reminded what makes playing in the Sierra Nevada such a rugged but rewarding experience. 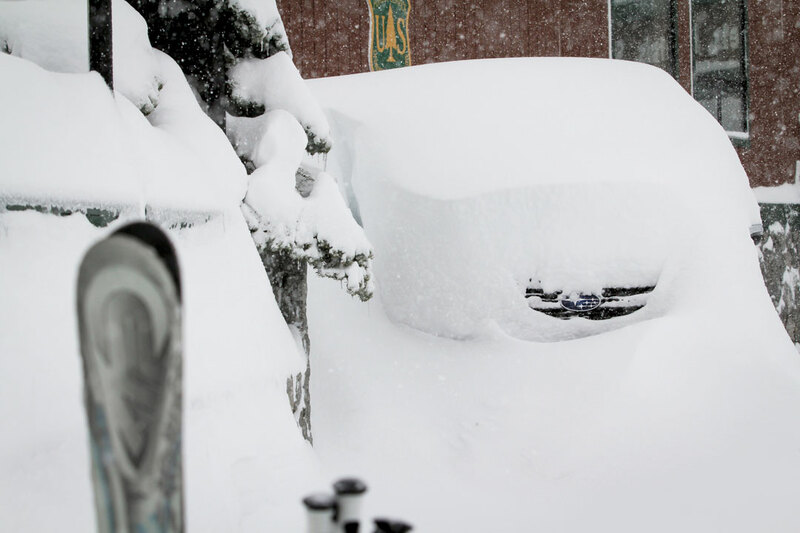 Before the storm started, forecasters were showing models that called for 2-4 feet of snow. That’s a hefty total by today’s standards, so we embraced Mother Nature and waited for her wrath! But what came was beyond our wildest predictions. 7.5 FEET of pow ended up falling, and the storm was described by locals as “the most accumulation in that amount of time in a couple decades.” In the days after, we saw huge smiles, legends made and a lot of sore shoveling arms. While these momentary feelings may fade, there’s more to be happy for with all this snow: stellar skiing/riding conditions now and into the spring! Check out that graph! It doesn’t take a rocket scientist to see that this past storm shot us well above average snowpack levels. And the better news? There’s even more on the way. Snow forecasts for the next seven days are calling for 68” on the low end and a possible 110” on the high end. All we can say is BRING. IT. ON. We’re hoping that orange line continues to travel straight to the moon and will solidify this season’s snowfall in the record books. So with that, hunker down, carry chains and brush up on your knowledge of deep snow safety . This is why we play in the mountains! Grab your glass, because it sounds like Ma’ Nature is going to be serving up bottomless snow-mosas. We’ll be keeping our eyes on the forecast; will you be ready when more flakes start flying?